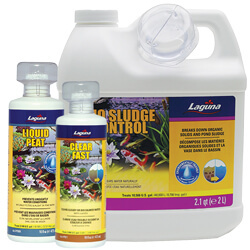 Laguna Phos-X Phosphate Remover is specifically formulated to absorb and trap phosphate, nitrite and nitrate. This will provide ideal living conditions for your fish, while also clarifying your water. Simply place the Phos-X packet(s) in your filter or in an area of good water circulation and it will remain effective for 3 months.